The unlocked Samsung Galaxy S7 and Galaxy S7 Edge are the absolute worst phones you could buy if you care about timely updates, current security patches, and fun new versions of Android that include new features and all that jazz. I say that because the US unlocked Galaxy S7 I have (and the S7 Edge I don’t own) is almost always behind in updates, still doesn’t have Android Nougat, and only today, received March’s security patch. Samsung hates these phones and has since day 1. But hey, it did see an update to March’s security patch today that weighs in as software version G930UUES4AQC1. That’s all it is, though. To be fair to Samsung, they never did tell us to expect timely updates on these unlocked models. They simply said that they were unlocked and would work on all major US carriers. After that, it’s been a quarterly-ish update cycle that is behind carrier variants and those from across the the pond. We’re just annoyed by it since phones that lack a carrier attachment should (in theory) be easier to update. That either hasn’t been the case here or Samsung just doesn’t care. 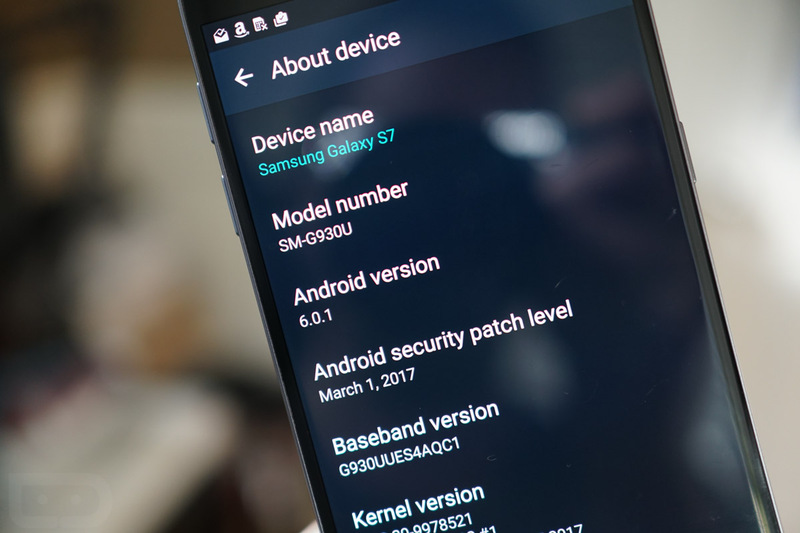 Anyways, your unlocked S7 or S7 Edge should have an update today and it’s just a security patch. No Nougat for you. Also, we won’t be recommending the unlocked Galaxy S8 until Samsung fully promises timely updates. And I’m not talking about a random email from a Samsung branch I’ve never heard of.